Resolution Reset App and New Years Eve DVD Giveaway! Ends 5/12! Win It: One lucky reader will win a copy of New Years Eve on DVD. RULES: You must be 18 or older to enter and live in the US. NO PO BOXES! One winner will be picked using Random.org and emailed. Winner will have 48 hours to respond or a new winner will be picked. Giveaway ends 5/12/12 at 11:59 pm eastern time. Use Rafflecopter form to enter. Disclosure: I received nothing in exchange for posting this giveaway. Back in March, I reviewed a Babyliss Pro Flat Iron from Flat Iron Experts. They graciously offered me the chance to review another item. 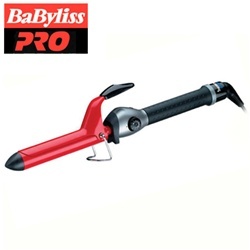 This time, they sent me the Babyliss Pro Tourmaline Ceramic Curling Iron. I normally flat iron my hair to keep it straight, shiny and frizz free but sometimes I want a different look and would like some curls. Prior to receiving this curling iron, I didn't have or use a curling iron. Over the Moon Milk Review & Giveaway Ends 5/4! I love milk especially chocolate milk. There is nothing like guzzling down a big glass of ice cold milk after having a cookie or piece of cake! I was recently introducted to a brand of milk that I had never heard of before called "Over the Moon". It's only available in select states including Maine, New Hampshire, Vermont, Massachusetts, Connecticut, Rhode Island, New York, Pennsylvania, New Jersey, Maryland, Virginia and Washington, D.C.
What makes Over the Moon different than other brands of milk? Over the Moon contains 34% more bone-building calcium and 37% more protein than regular milk. It's also an excellent source of Vitamin D.
Over the Moon is available in Fat Free, Low Fat and Chocolate. GourmetGiftBaskets.com Brownie Sampler Review & Giveaway! Ends 4/22! I have worked with GourmetGiftBaskets.com in the past and love their huge selection and price ranges of gift baskets. They truly have something for everyone for any occassion. Did you know they also have baked goods? I didn't until they contacted me to do a review on their brownies. I love brownies so of course I agreed to review them. Peanut Butter Brownie- YUM! What's better than peanut butter and chocolate? That's right, nothing. It had peanut butter chips on top and was just the perfect combination. Cheesecake Brownie-Cheesecake was layered on the top of the chocolate gooey brownie for yet another perfect combination. Belgian Chocolate Chunk Brownie-I thought that this one might be a bit too much chocolate for me but it wasn't. The Belgian chocolate chunks on the top were just a nice compliment to the brownie and I didn't find it overwelming at all. From Scott's Liquid Gold comes a great product called Clean Screen. If you're not currently cleaning the screens on those valuable electronic devices, you should be! Clean Screen is a two-part cleaning system. It includes a specially formulated RO solution and a suede microfiber cloth. Reverse Osmosis (RO) is a state of the art water treatment technology that removes molecules of mineral deposits and impurities smaller than the water molecules themselves. The synthetic suede microfiber cloth is soft, lint-freee and won't scratch screens. Cleans computer monitors, laptops, HDTV's, game systems, cell phones, iPads, iPods, DVD's, CD's, sunglasses and eyeglasses.